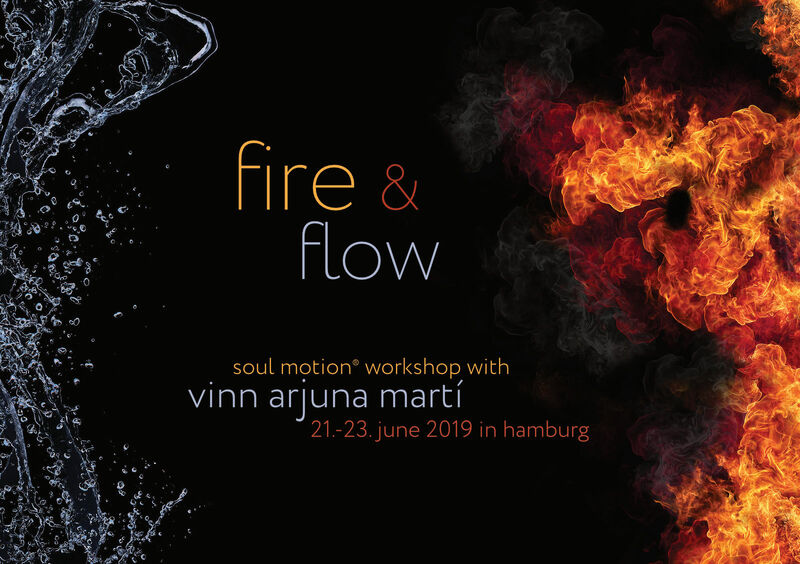 In this Soul Motion immersion, we’ll enfold the body and its surrounding fields in flow and fire. We use guided movement and somatic inquiries along with times of open dance, to recognize and embrace elemental movement qualities such as force, energy, time, and space. Flow is our heritage. It is the first movement quality we inhabit in embryonic stages. The flow of breath is what keeps us alive and supple. The flow of blood sustains our everyday dance, carrying us along its continuum of change in effortless shifts of form and force. The flow of dance opens the dancer to a sustained and uninterupted stream of movement. Fire is energy and will, a motivator that moves us along in space. It commits us to action and overcomes inertia. It transforms and cleanses our activity. We are moving in a purified, or open, stance, free from the dross of drudgery and mental blocks. Its flames of force can energize us. The fire of dance is a spontaneous high spirited shifting of shape to tap the cauldron of invention and expression. Kosten: 240 € / 220 € ermässigt.